Because of the American lifestyle so readily accepted today that includes a Western diet (processed dense foods, dairy, sugar, gluten), smoking, liberal alcohol consumption, stress, and the widespread use of NSAIDs(1) and other drugs, leaky gut may be one of the most significant medical conditions of our time. It tends not to be diagnosed by allopathic physicians but holistic physicians can not only identify it through testing, they can offer real healing solutions to help you resolve your terribly uncomfortable symptoms in a matter of months. In leaky gut (medically termed intestinal permeability) the lining of the small intestine becomes damaged, causing undigested food particles, toxic waste products and bacteria to leak through the intestines and enter the bloodstream. These molecules which have not been properly filtered and are now circulating in the blood can cause an autoimmune response in the body including a whole host of inflammatory and allergic reactions. The intestinal barrier consisting of just one layer of cells are held together by tight junctions. When the tight junctions lose integrity, microscopic holes develop allowing toxins, bacteria, and undigested food, for example, to cause a breach of the barrier. This barrier has two simultaneously opposing goals: 1) to let nutrients in, and 2) to protect the body against invasion of microorganisms and toxins. Such opposing goals can only be achieved by a complex anatomical and functional structure. The following are some of the symptoms of intestinal permeability however Wagner Chiropractic can test you to accurately diagnose the source of your symptoms. Leaky gut and inflammation are exacerbated when an altered composition of the intestinal flora allows the abnormal growth of bacterial, viral or fungal pathogen populations in the gut. We have to stress that the digestive system is a very complex system and is connected to every other system in the body. When this system is compromised, it cascades into many other systems of the body, thus the diverse range of symptoms a leaky gut patient can suffer. For example, the liver may also be affected with leaky gut. It normally copes well with handling the body’s everyday toxins, but when we are in toxic overload, the liver becomes compromised. Friendly flora and viruses lives in symbiosis in our intestines. This population of flora (good bacteria) and viruses is called microbiota and the microbiota represents our second liver and second brain. To demonstrate this point, on average, the bacteria of the microbiota are 10 or 100 times the number of cells that make up the rest of our body and are equipped with a number of genes 10 times more than ours (300,000 against our approximately 28,000). With numbers like these it is easy to realize how vitally significant intestinal health is and should be to us. 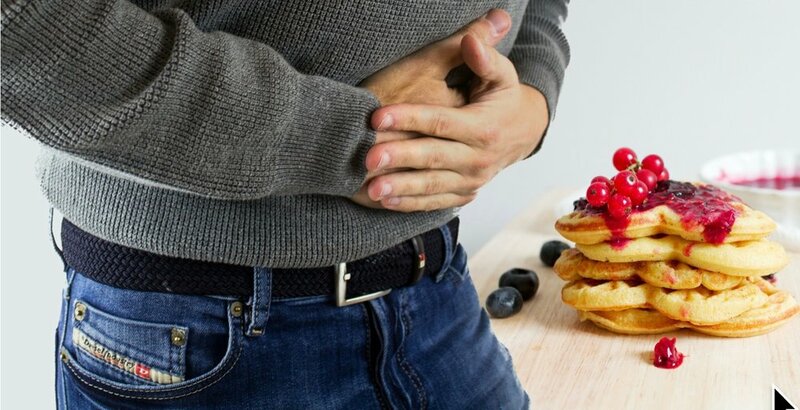 If you or we at Wagner Chiropractic suspect you may have leaky gut or digestive conditions like irritable bowel, we will conduct tests for an accurate diagnosis and which will help us determine the best strategy to restore your leaky gut’s intestinal integrity. A stool analysis will reveal any imbalance in your gut’s friendly flora composition. A urine test will check for intestinal permeability. A blood test will determine food allergies and sensitivities. Once we’ve gathered the necessary data from these tests, we’ll counsel you very extensively on nutrition so that we can get your leaky gut turned around. We will probably indicate probiotics, dietary changes and digestive enzymes for you. Probiotics are those friendly bacteria that should live in the intestines in large numbers to help us fight sickness and to strengthen the tight junctions between cells of the intestinal barrier. Probiotics also produce anti-inflammatory chemicals. They can be ingested in capsule form or via probiotic-rich foods. We may also prescribe L-glutamine, an amino acid that restores the integrity of the lining of the intestinal wall as well as digestive enzymes that help your body break down food, aiding digestion. We’ll look at your refined sugar intake and replace it with carbohydrates derived from vegetables and some fruits and from every color of the rainbow. These raw, uncooked vegetables are loaded with antioxidants that fight free radicals and inflammation. Consuming healthy fats from avocados and oily fish whose oil is highly anti-inflammatory will also benefit you. Vegetable oils must be avoided as much as possible because they cause inflammation. Sugar, processed foods, alcohol and gluten consumption need to be eliminated, if not, drastically reduced. Foods containing caffeine like tea and coffee need to be reduced. For most people, a complete turnaround of leaky gut and the variety of symptoms associated with it usually takes from approximately two months to two years to heal it completely after beginning nutritional counseling and dietary changes. Again, pain in the body when dealt with using over-the-counter pain medications called NSAIDs are known to cause a breakdown in the delicate intestinal lining. Handling pain through natural health means such as chiropractic, physical therapy acupuncture and massage is a better way to deal with pain. Call us today for a complimentary consult.